How do I delete an announcement in a group? Students can only delete their announcements within a group. You can delete an announcement in the Announcements page or within an individual announcement. 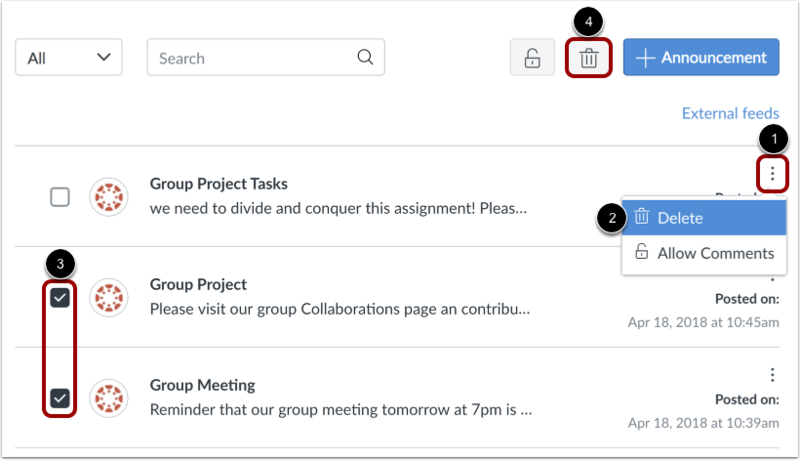 In Group Navigation, click the Announcements link. To delete an announcement from the index page, locate the announcement. Click the Options icon  and click the Delete link . 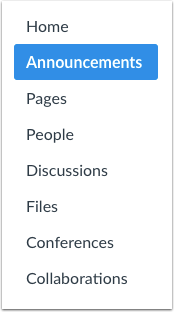 To delete multiple announcements at a time, click the checkbox next to the announcements you want to delete  and click the Delete icon . You can also delete an announcement by opening the individual announcement. Click the name of the announcement. Click the Options icon  and click the Delete link . Previous Topic:How do I edit an announcement in a group? Next Topic:How do I add an external RSS feed to an announcement as a student? 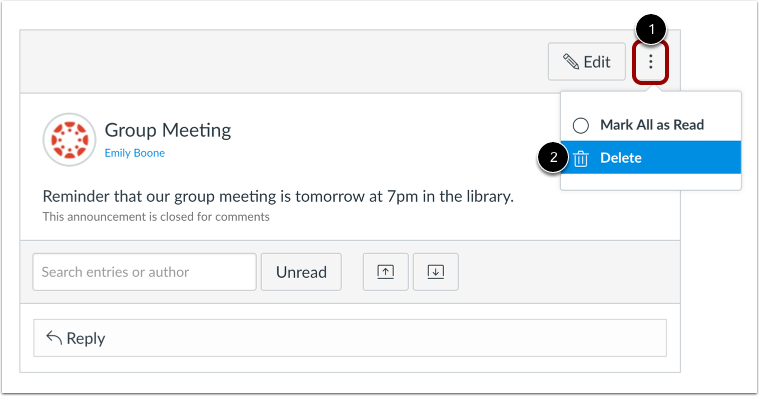 Table of Contents > Announcements > How do I delete an announcement in a group?